Sally at the WNA APN Forum. April 23, 2010: Wisconsin Nurses Association Advanced Practice Nurse Forum – 24th Annual Pharmacology & Clinical Update. Sally was invited to speak at the 24th Annual Pharmacology & Clinical Update sponsored by the Wisconsin Nurses Association Advanced Practice Nurse Forum. The forum was held at the Chula Vista Resort in beautiful Wisconsin Dells, WI. 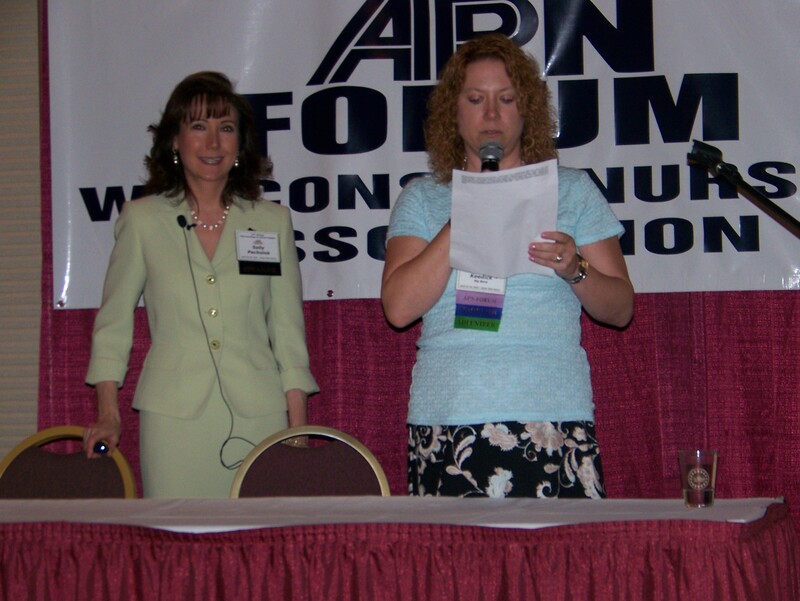 Sally gave a 75 minute lecture entitled “Unmasking the Epidemic of Vitamin B12 Deficiency and its Misdiagnosis.” Her presentation was separated into three sections. The first section gave an overview of vitamin B12 deficiency and how to recognize, diagnose, and treat it, as well as understanding “subclinical” B12 deficiency and the implications of a serum B12 level in the “gray zone.” In the second section, Sally talked about why B12 deficiency is an epidemic, why patients are frequently misdiagnosed and/or undertreated, and why older adults are at greater risk for misdiagnosis. Finally, Sally discussed the cost-effectiveness of early diagnosis and proper treatment of B12 deficiency. She emphisized that a change in the standard of care for diagnosing and treating B12 deficiency is needed and that combating this epidemic will require the education/re-education of health care providers, directors of health care institutions, governmental agencies, the media, and the public. Sally’s lecture was attended by over 250 advanced practice nurses, many of whom told her this was something that was going to change their practice. Several APN’s told Sally stories of specific patients they had in mind that they were going to test as soon as they returned home from the conference. They expressed disbelief at the knowledge deficit and apathy of much of the health care community. Sally would like to thank the Wisconsin Nurses Association Advanced Practice Nurse Forum for the opportunity to share her knowledge and passion of vitamin B12 deficiency with their members.